This is the only classic-era STAR TREK ANNUAL published by Marvel UK in late 1979 to coincide with the film's Christmas release. It reprinted Marvel's adaptation of THE MOTION PICTURE, published in the States in MARVEL SUPER SPECIAL and the first three issues of the ongoing Trek monthly. In the UK, it was serialised in FUTURE TENSE a year later. 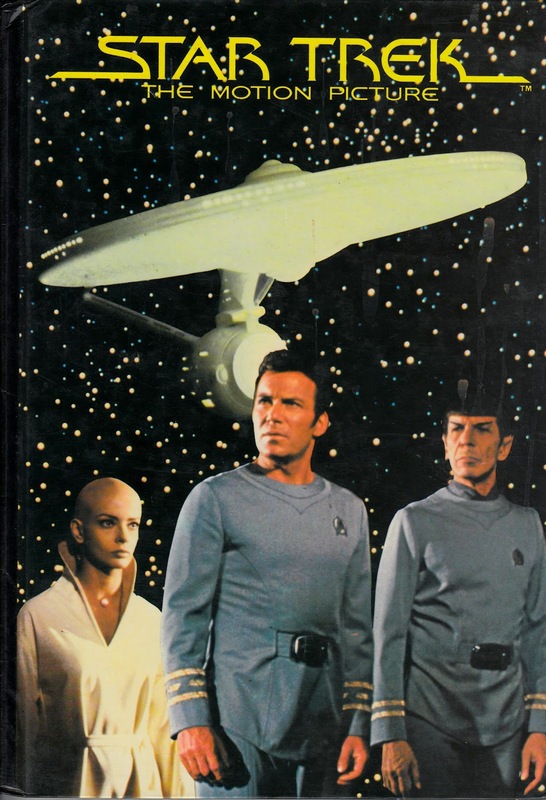 The Trek annuals had previously been published by World Distributors who licensed reprints of the notoriously off-message US Gold Key comics. Marvel UK published one more Trek annual: a companion to their short-lived STAR TREK: THE NEXT GENERATION comic which, like the title that spawned it, took its contents from DC Comics and the licensed Starlog magazines. WESTERN GUNFIGHTERS was the first of three specials that raided Marvel's infrequently-seen Western back catalogue. I've posted about these here. 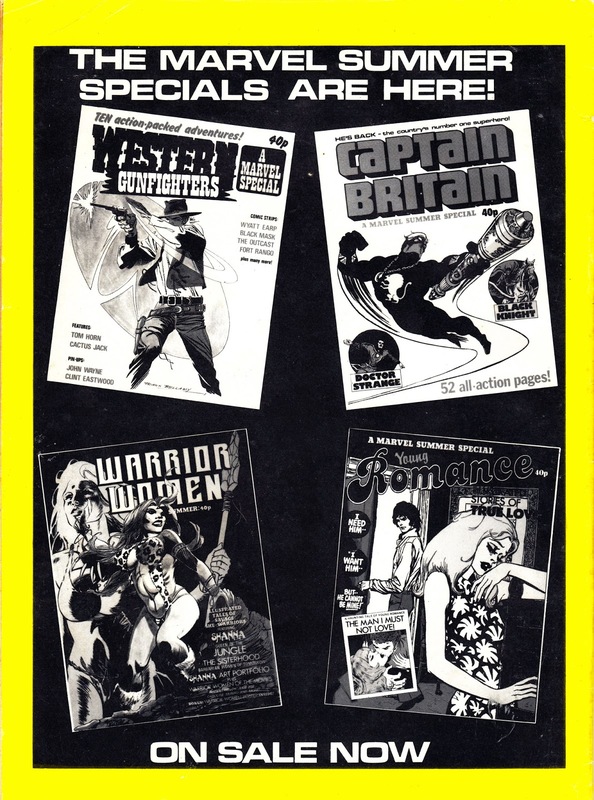 The CAPTAIN BRITAIN SPECIAL drew from some of the later (possibly because they were originally published in black & white) CB solo strips from a few years earlier. Dez Skinn dusted off a few more for the pages of HULK COMIC. WARRIOR WOMEN was an unusually edgy entry starring Shanna and others. Find the cover here. YOUNG ROMANCE is one of the rarest Marvel Specials of the period and seldom resurfaces in the secondary market. That's probably because Marvel's usual collectors and readers passed at the time. It still spawned the similar YOUNG ROMANCE POCKET BOOK. Apologies for not posting for donkey's ages… a mixture of work and sheer laziness has meant that I've not had a chance to scan a new batch of bits'n'bobs to post here. I'll try and do more in future. And… here's a memorable British TV commercial, produced to encourage the Great British Public to purchase shares in the formally nationalised power generation infrastructure. There were several but this is the only one with a STAR TREK/ Starlogged connection (that I can recall anyway). As you'll see, it was filmed on Paramount's STAR TREK: THE NEXT GENERATION sets and utilises stock SFX from the movie series.